I would like to extend my gratitude to parkrun for this fantastic initiative that has made a significant change to my life. This time two years ago I weighed 132kg and was in poor health. I finally got my head right, went on a structured eating plan from the end of January 2017 and started exercising. Sadly I only found out about parkrun in late November that year but immediately started on 2nd December at Ebotse parkrun along with my wife and sons and last weekend we ran our 50th parkrun together. The great thing about getting involved with parkrun is that it sparked my interest in running and I subsequently joined Team Vitality Athletic Club and partook in several 5km, 8km, 10km and a 15km road races last year. Sunday past I ran my first half marathon and it was an awesome experience. 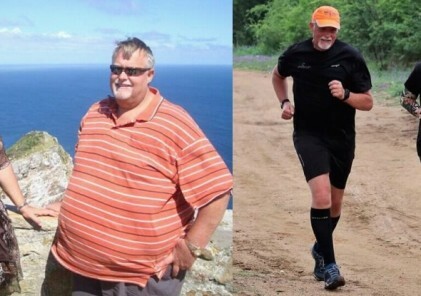 Joining parkrun has changed my life. 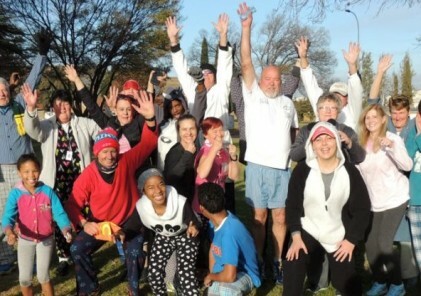 Thank you parkrun and may this initiative continue to change other peoples lives for the best. I finished my 172nd parkrun at Umhlanga on the 14th September 2018. While walking to collect my wife 20 minutes later, I collapsed from a massive heart attack just 100 metres past the finish. Two of my savers were off duty doctors & parkrunners, Liana Swart and Nodomisa Mhkize. One of my savers was an off duty nurse, Sue Dalais, with her husband Marc (both regular volunteers and parkrunners). 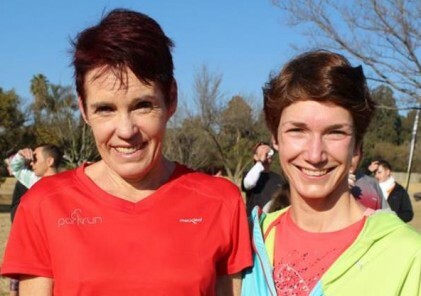 And of course my parkrun daughter Genevieve Poupard and wife Prudence. I really feel that these 4 parkrunners deserve to have their pictures and their story told. It’s encouraging to know that should anyone be unfortunate enough to have a major medical set back while at parkrun, there could be a knowledgeable and concerned parkrunner in the crowd who could save a life. My wife, daughter and I invited the 4 to breakfast a while ago and heard their stories, how they were not sure they would run that morning and other facts which led to them being able to assist me. Also that I was blue when they arrived as my heart had stopped beating sometime before they arrived. I asked one of them why they bothered to try and rescue me, to which she replied that she could never walk past someone in need. I feel this typifies the spirit of parkrun as well as the camaraderie that exists between parkrunners, who offer advice and assistance to each other.